Learn how Massage Envy Spa quickly achieved hiring needs without compromising on quality. With rapid growth, a franchise model, and a business entirely dependent on customer service, Massage Envy Spa needed to strike a balance between moving quickly to meet hiring needs and achieving a strong job fit for each of their key positions. Massage Envy implemented the PI Behavioral Assessment to help make quick and effective hiring decisions, as well as for help coaching and motivating teams. 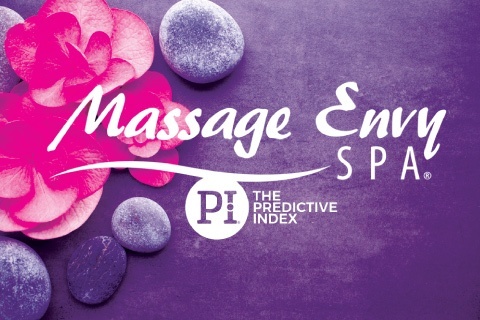 Massage Envy used the PI Job Assessment to define the ideal behavioral and cognitive recommendations for specific roles and help the franchisees build job profiles for several key franchise positions. For one franchisee in three regions, the average sales close rate jumped from 12-13% to 27%. For the same franchisee, the PI Behavioral Assessment has expedited the hiring process by eliminating the need to review about 50-60% of resumes received. Franchise owners are able to communicate more effectively, define roles more clearly, and measure their team’s long-term performance.